Direct access to the river ! 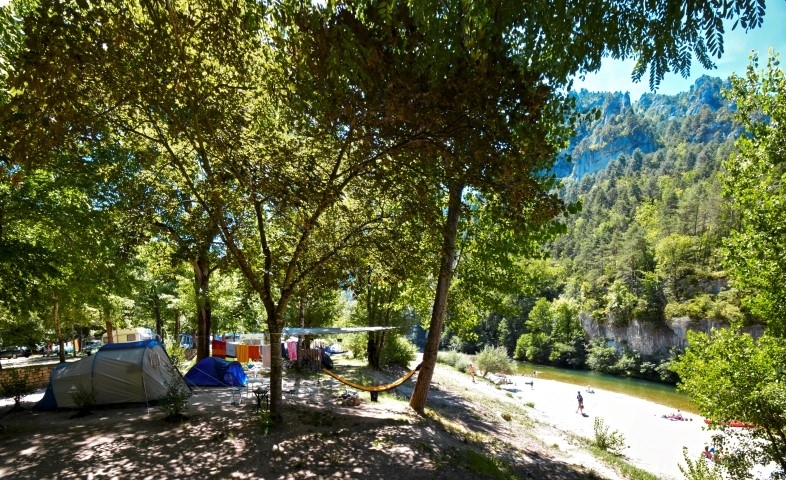 La Blaquière campsite is peacefully situated over 1.5 hectares by the river in the heart of the magnificent Gorges du Tarn, in Lozère, where outdoor sports have been raised to an art of living. 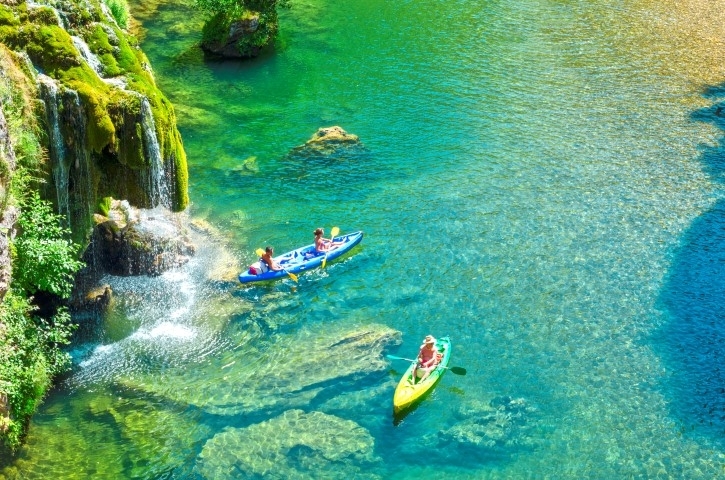 Rock climbing, speleology, white-water sports, canoeing, hiking and mountain biking are some of the activities awaiting you. As well as fishing, bathing and enjoying one of the prettiest private beaches around. 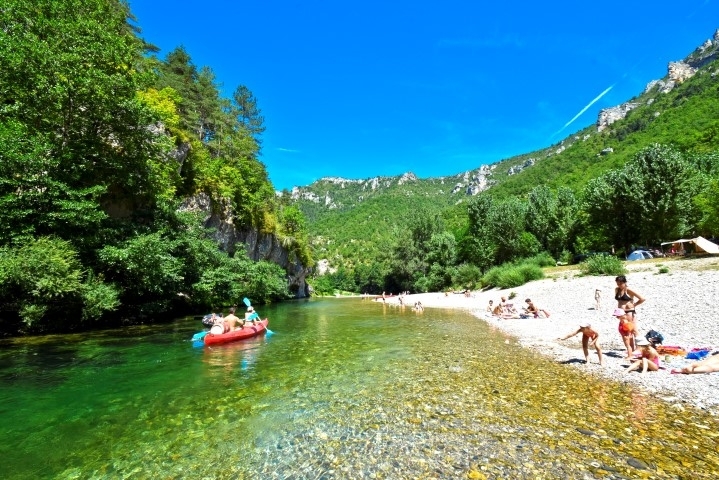 The area also boasts an amazing wildlife, beautiful moor scenery, authentic natural and architectural heritage and delightful traditional gastronomy (Roquefort cheese, aligot...). 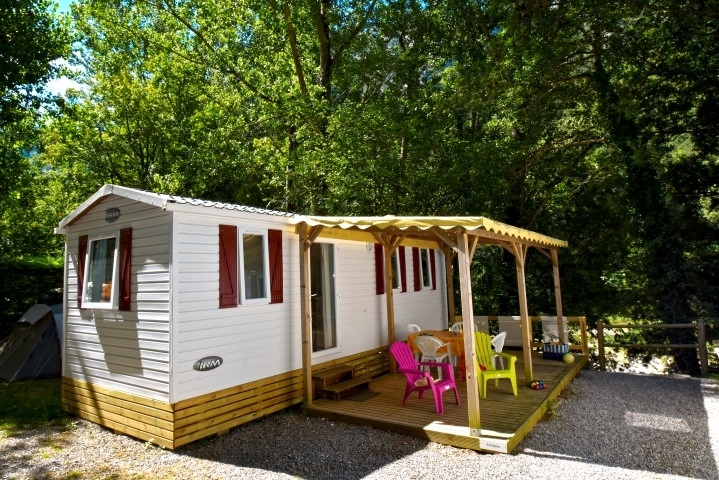 Everything is combined to make your stay in this family - style campsite an unforgettable one. Spring is always the best time to see the largest variety of orchids and that is when you can see the two endemic orchids of the area; Aveyron orchid is only found on Causse Larzac and Aymonin’s orchid is only found in the Grands Causses.